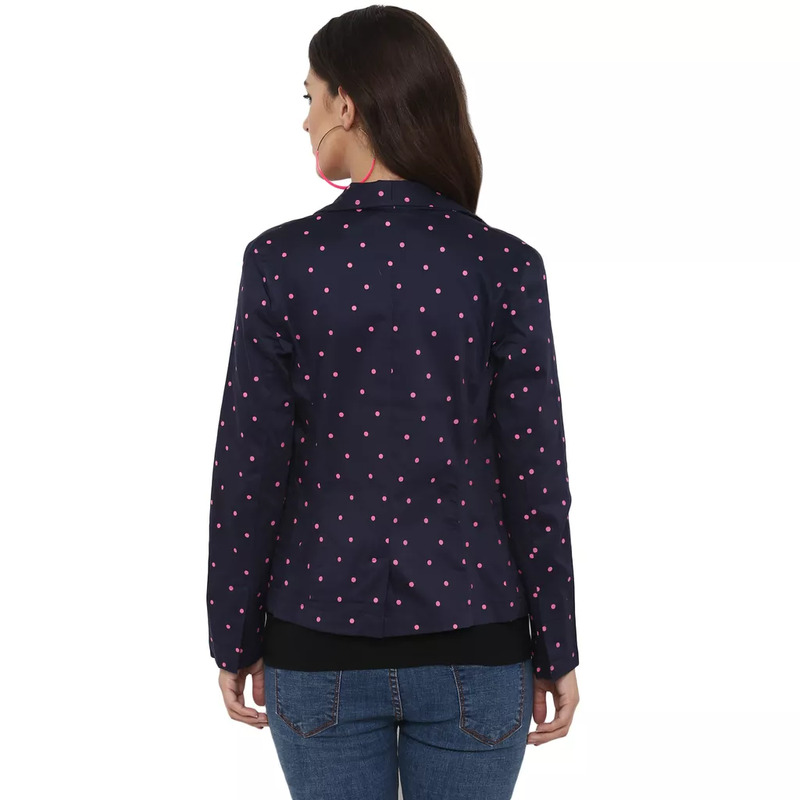 The trendy mamacouture blue and pink polka dot maternity jacket is designed for a stylish yet comfortable fit for every trimester and continue to wear it post delivery. 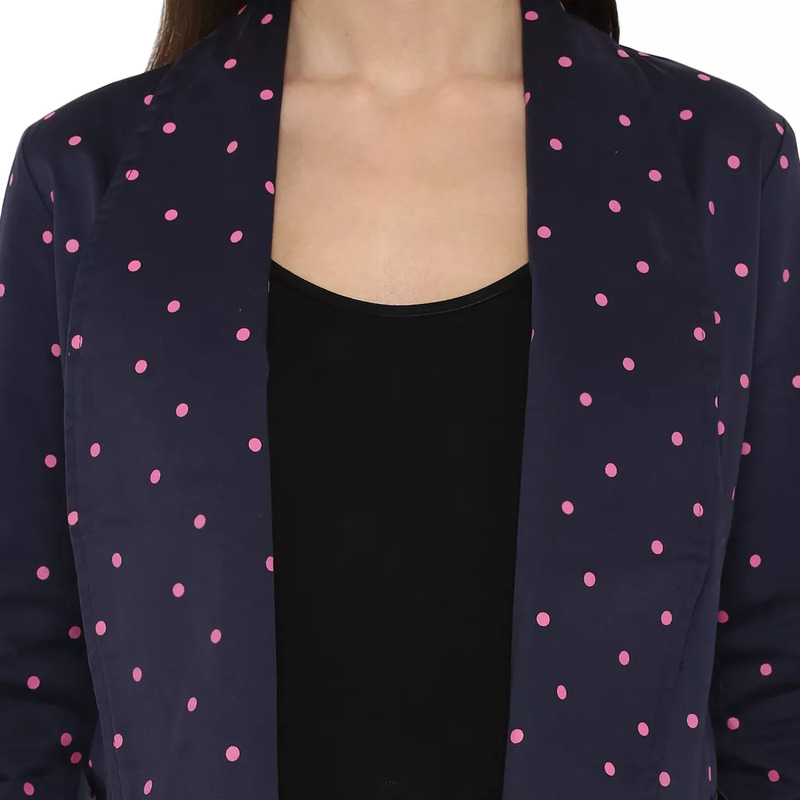 Covered in fashionable print, it is perfect for a day out and the evening after. Wear it and celebrate the bump!